When I started Pretty Opinionated, I kind of thought it would be like that movie. You know, the whole “if you build it, they will come” thing? I should have known better. I never even SAW that movie! All I know is there’s a movie, and a field, and a guy with a dream. Anyway, yeah. Blogging doesn’t really work that way. You can build it all you want, but they won’t come. Not because you aren’t insanely brilliant and dripping with creativity, but because the internet is huge. Like “universe huge.” Even if you write the modern-day equivalent of the Declaration of Independence, no one will care if they don’t know it exists. If you’re just writing for yourself, that’s fine. If you’re trying to make a living off your writing, though, self-promotion is a must. That is my BIGGEST challenge as a blogger and a business woman. You see, self-promotion is incredibly difficult when you’re insanely shy and generally scared to death of most people. I have anxiety disorder. I’ve had to overcome quite a bit of it to succeed as a blogger. I’m going to tell you how I did it. 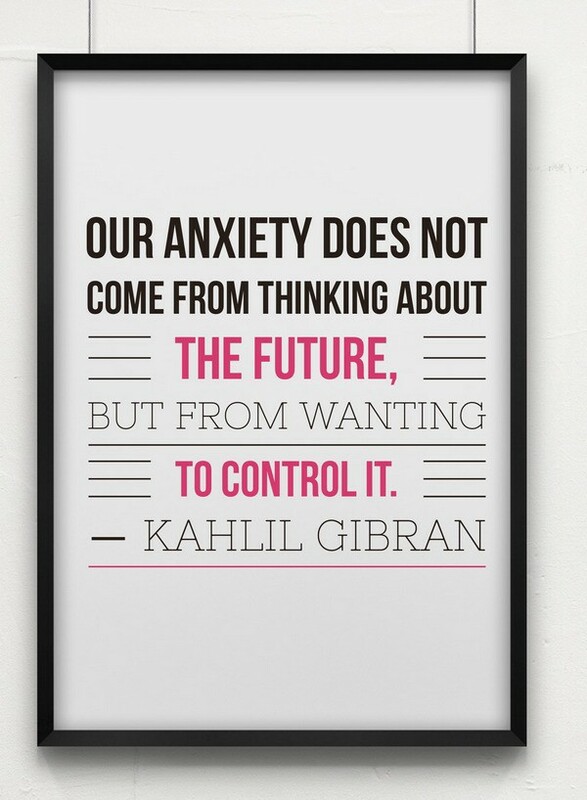 Even if you don’t have anxiety disorder, I think you’ll find something helpful here! At least I hope you do! Let me clarify by saying that I’m not scared of people in the sense that I think everyone is out to get me. I don’t think you’re all secretly plotting my death. Um, you’re not, right? I’m scared of not being liked. Not enough to change who I am, that will never happen. I just don’t like it when people don’t like me. I’m also scared that something I say will come out wrong, someone will take it the wrong way, I’ll be judged harshly for an opinion. Basically, the classic textbook issues that people with social anxiety disorder face. Start by defining a safe space in your business world. Obviously, I feel safe blogging, right? Otherwise I wouldn’t do it. I’m a total open book in my writing. I’ll tell you every last one of my secrets with no problem…as long as we’re right here on my site. It’s my safe little world. I built it. I make the rules. I say what goes. Think of your business- whether it’s a book, blog or multimillion-dollar company- as YOUR safe zone. Remind yourself that you make the rules. 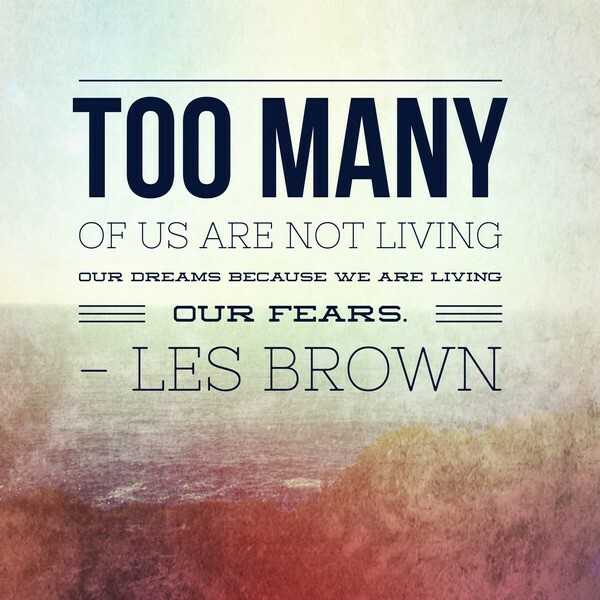 No one can take it away from you or force you to do something you don’t want to do with it. Your next goal is to find a few people in your business that seem approachable and friendly. They MUST “run in the same circles” as you, though. Meaning, the same conferences, Facebook groups, etc. These three people are your “comfort people.”As your blog and contact lists grows, your list of comfort people will grow too, but three is a good starting point. What do I mean by “comfort people”? Basically, they’re the faces that you know in a sea of scary new people. The names that you recognize among a list of hundreds of group members. They make your blood pressure drop a bit in unfamiliar territory. For gods’ sakes, though, don’t stalk them or latch on to them in a needy way. They don’t even need to know that you think of them as comfort people (unless you’re also really good friends). It’s enough for you to know. I LOVE Pinterest. It is the shy girl’s dream social media site. You can bond with your readers and other bloggers over a shared love of everything from cheesecake recipes to Alice in Wonderland without ever speaking. It’s 99.9% visual. Sure, you can comment if you want, but really, Pinterest isn’t meant to be a conversation site. Still, it IS social. It’s also fantastic for promoting yourself. Just make sure you’re not ONLY promoting yourself. Commenting on other blogs, social media statuses and even private group posts is a MUST if you want people to get to know your name. For the first couple of months, I spent a lot of time typing up great comments on deep, debate-worthy topics, then deleting them. I was so scared that other people would think “who is she and why should I care what she thinks?” or that I would somehow make enemies before I made any friends. I do tend to have very strong opinions on certain topics. We all do! So I changed tactics. I made myself comment on easy topics. By “made myself,” I mean I literally forced myself to find and comment on new blogs every day, no matter how nervous it made me. Make a list of all the different ways to promote your blog. Now go down that list and make three lines. Under line one, write down the things that don’t sound so bad. For me, that included Pinterest and joining groups that focused on positivity and building each other up (rather than drama and nastiness). Line 2: things you think maybe you could handle if you HAD to. This is where the “conquer” part comes in. Choose one thing on that list each week (or month, if your anxiety is really bad) and start doing it. Like commenting on blogs, or joining one small networking group. Step outside your comfort zone a little more every day, until you find it expanding. Line 3: the “oh, no way, never going to happen” list. Cross this out and forget about them! No sense focusing on stuff you’re never going to try. There is no rule that says you have to use EVERY method of self-promotion. In fact, if you DO use every method, you’ll not only burn out, you’ll end up diluting your own message. You can’t be everywhere. You shouldn’t be everywhere. 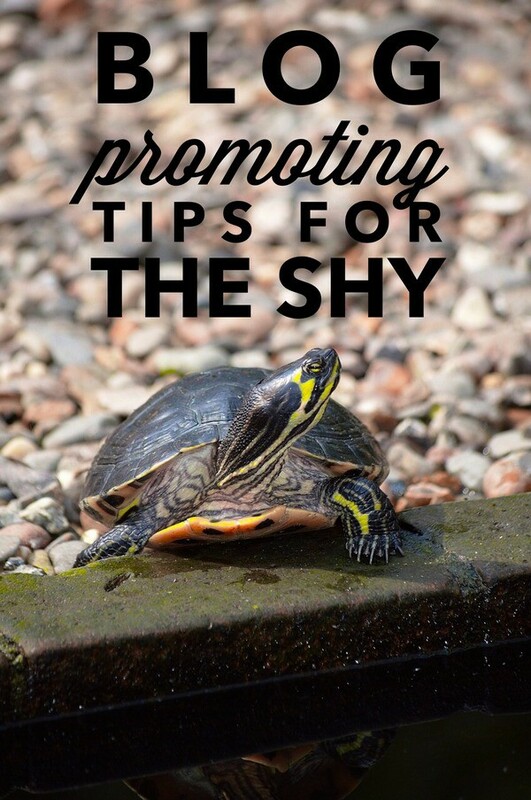 Hopefully these blog promoting tips for the shy helped you come up with some tactics to get you out of your shell and start promoting yourself. Living with anxiety disorder is a struggle. Surviving in an extrovert’s business when you’re an introvert is an even bigger challenge. It is possible, though! If I can pull it off, I have faith that you can too. Finding 2 or 3 comfort people is a great idea. it works even if you’re not shy! These are awesome tips. I feel more confident now with blogging but I have problems with anxiety too and that used to affect me. I used to be that one in the groups too shy to comment as well. I really appreciate this post. These are very helpful tips. I’ve been blogging since 2008 but it’s always been more of a hobby because I was too shy to really put myself out there in front of other bloggers. This year I decided to go all in and I’ve been implementing some of things you shared here and it has been helping tremendously! I love the tip about finding 2 or 3 comfort people and the also the one about how we shouldn’t try to be everywhere. A great reminder to focus on a couple things rather than everything. Thank you so much for that compliment, I’m so glad to be helpful!